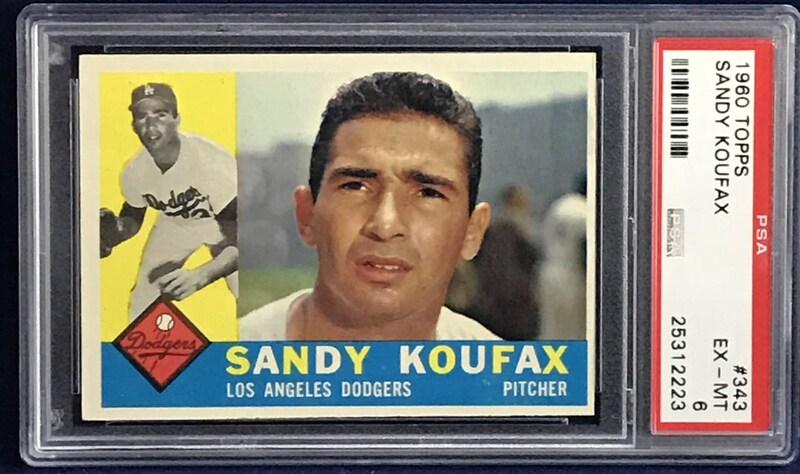 Up for your consideration is a 1960 Topps #343 Sandy Koufax card. 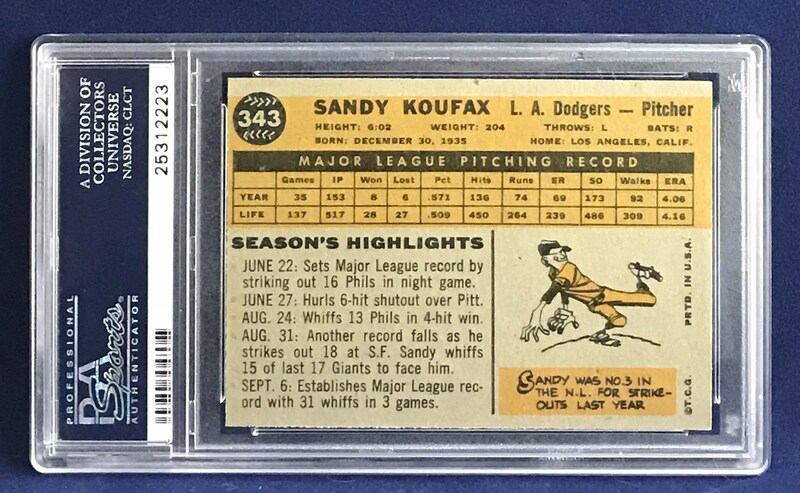 Koufax was one of the most feared pitchers of MLB history. His accomplishment is vast including four World Series, four no-hitters, and three Cy Young awards. This example features great centering and is a high grade PSA 6.